The Fairey Battle was a British single-engine light bomber built by the Fairey Aviation Company in the late 1930s for the Royal Air Force. 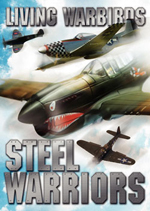 The Battle was powered by the same Rolls-Royce Merlin piston engine that gave contemporary British fighters high performance; however, the Battle was weighed down with a three-man crew and a bomb load. 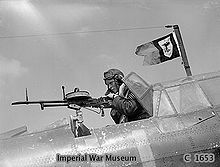 Despite being a great improvement on the aircraft that preceded it, by the time it saw action it was slow, limited in range and highly vulnerable to both anti-aircraft fire and fighters with its single defensive .303 machine gun. During the "Phoney War", the Fairey Battle recorded the first RAF aerial victory of the Second World War but by May 1940 was suffering heavy losses of well over 50% per mission. By the end of 1940 the Battle had been withdrawn from combat service and relegated to training units overseas. For such prewar promise, the Battle was one of the most disappointing of all RAF aircraft. 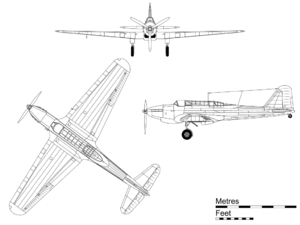 The original Fairey Battle was designed to Specification P.27/32 as a two-seat day bomber, to replace the ageing Hawker Hart and Hind biplane bombers. The prototype Battle first flew on 10 March 1936. When the RAF embarked on the pre-war expansion programme, the Battle became a priority production target, with 2,419 ordered and an initial production order placed for 155 Battles built to Specification P.23/35. The first of these aircraft was completed at Hayes, Middlesex in June 1937 but all subsequent aircraft were built at Fairey's new factory at Heaton Chapel, Stockport and tested at their Manchester (Ringway) facility. Subsequently the Austin Motors "Shadow Factory" at Longbridge manufactured 1,029 aircraft to Specification P.32/36. Total production was of 2,185 machines, as production lines were closed in advance, in September 1940. The Battle was an all-metal, low-wing cantilever monoplane, equipped with a retractable tail wheel landing gear. Its clean design, with a long and slim fuselage and cockpit for three (pilot, navigator and gunner) seated in tandem with a continuous glazed canopy, was similar to a large fighter rather than a bomber. The armament and crew were similar to the Blenheim: three crew, 1,000 lbs bombload and two machine guns, although the Battle was a single-engine bomber. Production Battles were powered by the Rolls Royce Merlin I, II, III and V, and took their Mark numbers from the powerplant (for example, a Battle Mk II was powered by a Merlin II). The Battle was armed only with a single Browning .303 machine gun fixed ahead and with a trainable Vickers K in the back; this was desperately inadequate. Moreover it lacked an armoured cockpit and self-sealing fuel tank. The Battle's standard payload of four 250 lb (110 kg) bombs was carried in cells inside the wings and an additional 500 lb (230 kg) of bombs could be carried on underwing racks. Replacing the RAF's Hawker Harts and Hinds when it entered service in 1937, the Battle was obsolescent even then as fighter technology had outstripped the modest performance gains that the light bomber possessed over its biplane antecedents. Picture - Fairey Battle, K7650 / 63-M of No. 63 Squadron, RAF Benson, November 1939. This was the first operational squadron to be equipped with the Battle. The first RAF squadron to be equipped with Fairey Battles was No. 63 Sqn. in June 1937. The Battle had the distinction of becoming the first operational aircraft to enter service with a Merlin engine, beating the Hawker Hurricane's debut by a few months. The Battle was obsolete by the start of the Second World War, but remained a front-line RAF bomber owing to a lack of a suitable replacement. On 2 September 1939, during the "Phoney War", 10 Battle squadrons were deployed to France to form a vanguard of the Advanced Air Striking Force. On 20 September 1939, a German Messerschmitt Bf 109 was shot down by Battle gunner Sgt. F. Letchard during a patrol near Aachen, marking the RAF's first aerial victory of the war. Nonetheless, the Battle was hopelessly outclassed by Luftwaffe fighters, being almost 100 mph (160 km/h) slower than the contemporary Bf 109 at 14,000 ft (4,300 m). The Battle's defence consisted of a single .303 in (7.7 mm) Vickers K machine gun mounted in the rear cockpit and a single forward-firing .303 in (7.7 mm) Browning machine gun in the starboard wing. When the Battle of France began, Battles were called upon to perform unescorted, low-level tactical attacks against the advancing German army. This put the aircraft at risk of attack from Luftwaffe fighters and within easy range of light anti-aircraft guns. In the first of two sorties carried out by Battles, on 10 May 1940, three out of eight aircraft were lost, while, in the second sortie, a further 10 out of 24 were shot down, giving a total of 13 lost in that day's attacks, with the remainder suffering damage. Despite bombing from as low as 250 ft (76 m), their attacks had little impact on the German columns. On 11 May, nine Battles of the Belgian Air Force attacked bridges over the Albert Canal on the River Meuse, losing six aircraft, and in another RAF sortie that day against a German troop column, only one Battle out of eight survived. During the following day, five Battles of 12 Squadron attacked the bridges; four of the aircraft were destroyed with the final aircraft crash-landing back at its base. Two Victoria Crosses were awarded posthumously for the action, to Flying Officer Garland and air observer/navigator Sergeant Gray of Battle P2204 coded PH-K, for pressing home the attack in spite of the heavy defensive fire. The third crewmember, rear gunner Leading Aircraftsman Lawrence Reynolds, did not share the award. Both fighters and flak proved lethal for the Battles. Although Garland's Battle destroyed one span of the bridge, the German army quickly erected a pontoon bridge to replace it. On 14 May 1940, in a desperate attempt to stop German forces crossing the Meuse, the Advanced Air Striking Force launched an "all-out" attack by all available bombers against the German bridgehead and pontoon bridges at Sedan. The light bombers were attacked by swarms of opposing fighters and were devastated. Out of a strike force of 63 Battles and eight Bristol Blenheims, 40 (including 35 Battles) were lost. After these abortive raids, the Battle was switched to mainly night attacks, resulting in much lower losses. A similar situation befell the German Luftwaffe during the early days of the Battle of Britain, when the Junkers Ju 87 Stuka dive bomber suffered equivalent losses in a similar role. With the exception of a few successful twin-engine designs (e.g. de Havilland Mosquito, Bristol Beaufighter and Douglas A-20), low-level attack missions passed into the hands of single-engine, multi-role fighter aircraft, such as the Hawker Hurricane, Hawker Typhoon and P-47 Thunderbolt. On 15 June 1940, the last remaining aircraft of the Advanced Air Striking Force were evacuated to Britain. In six weeks almost 200 Battles had been lost, with 99 lost between 10 and 16 May. After the return from France, for a short period of time, the RAF continued to rely on the light bomber. Reforming No. 1 Group and later equipping some new Polish squadrons with the type, it continued to be deployed in cross-channel operations. The last operational sortie was mounted on the night of 15/16 October 1940 by No. 301 (Polish) Squadron in a raid on Boulogne, and Nos. 12 and 142 Squadrons bombing Calais. Shortly after, all Battle squadrons were re-equipped with more potent Vickers Wellington bombers. Meanwhile, the South African Air Force had been supplied with some Battles. In August 1940, No. 11 Squadron took possession of at least four Battles, which were flown north to be operated in the Italian East Africa (Ethiopia, Italian Somaliland and Eritrea) campaign. They conducted bombing and reconnaissance operations. Whereas in France the RAF's Battles had encountered modern German fighters in large numbers, the South Africans faced a smaller number of Italian biplane fighters (Fiat CR.32 and CR.42s), which enabled the aircrews to contribute more effectively to the campaign; but not without several losses, especially when surprised above some predictable targets (air bases, ports etc. ), since Italian biplanes dived as fast as possible over the bombers, trying to shoot them down in the first pass. The last combat operations carried out by Fairey Battles were during the Italian and German invasion of Greece, from the end of 1940 until April 1941. A few Fairey Battles of the RAF and about a dozen belonging to the RHAF - serial numbers starting from B274 - participated in secondary bombing roles against enemy infantry. Most of them were destroyed on the ground by Luftwaffe air attacks upon the airfields of Tanagra and Tatoi north of Athens between end of March and mid April 1941. No significant contribution of this type was reported during this period, although some losses were recorded by the Greek Air Force. While the Battle was no longer used as a combat aircraft, its benign handling characteristics made it an ideal platform for testing engines, and it was used in this rx�le to evaluate engines up to 2,000 hp (1,500 kW) including the Fairey Prince (H-16). As the dual-control Fairey Battle T, it served as a trainer. 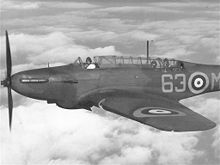 As the winch-equipped Fairey Battle TT (target tug) it was used as a target-towing aircraft for training in air gunnery. The Battle served as a trainer with the Royal Australian Air Force, the Royal Canadian Air Force, and the South African Air Force. From August 1939, 739 Battles were stationed in Canada as trainers in the Commonwealth Air Training Plan. Most were used for bombing and gunnery training with a small number equipped as target tugs. Some aircraft had the rear cockpit replaced with a Bristol Type I turret for turret-gunnery training. Although the Battle was retired from active use in Canada after 1945, it remained in RAF service in secondary roles until 1949. Battle K9370 was used to test the Fairey Monarch 2,000+ hp (1,490+ kW) aero-engine with electrically-controlled three-blade contra-rotating propellors in 1939. 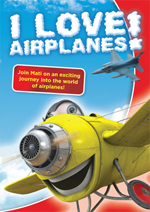 According to Jane's All the World's Aircraft 1946-47, the aircraft was shipped to the U.S.A. after 86 hours test time. Three-seat light bomber version. This was the first production version, which was powered by a 1,030 hp (770 kW) Rolls-Royce Merlin I inline piston engine. Three-seat light bomber version. Powered by a 1,030 hp (770 kW) Rolls-Royce Merlin II inline piston engine. Three-seat light bomber version. Powered by a Rolls-Royce Merlin V inline piston engine. After May 1940, a number of Battle Mk Is, IIs and Vs were converted into training aircraft. After May 1940, a number of Battle Mk Is, IIs and Vs were converted into training aircraft with a turret installed in the rear. In October 1940, a sole RCAF Battle Mk I was converted into a prototype for a future series, powered by a 840 hp Wright Cyclone R-1820-G38. The Battle IIT was conceived as a stopgap conversion in the likelihood that supplies of RR Merlins were unavailable. After May 1940, a number of Battle Mk Is, IIs and Vs were converted into target tug aircraft; 100 built. Target tug version. This was the last production version; 226 built. In total, 2,185 Fairey Battles were built during the machine's production life; 1,156 by Fairey and 1,029 by the Austin Motor Company. A further 18 were built under licence by Avions Fairey at Goselies, Belgium for service with the Belgian Air Force. The 18 Battles were delivered early in 1938 and were differentiated from British-built examples by having a longer radiator cowling. Royal Australian Air Force received 364 aircraft. Belgian Air Force operated 18 aircraft. Royal Canadian Air Force received 739 aircraft. Turkish Army Air Force received 29 aircraft. On 2 August 1940 Richard Ormonde Shuttleworth, a racing motorist, aviator and prolific collector of veteran cars and aircraft was killed when Fairey Battle L4971 of No. 12 Operational Training Unit RAF Benson crashed into a hill during a solo night flying exercise. Picture - Battle R3950 under restoration at the Royal Military Museum, Brussels, 2006. There are only five examples of the Fairey Battle held by various museums, but none of them are in flying condition. The best known survivor is L5343, displayed at the RAF Museum in Hendon. In July 1940, it was allocated to No. 98 RAF Squadron, after which it and other Battles were based at Kaldadarnes, Iceland for anti-invasion operations in support of British forces which had occupied the island in May 1940. L5343 was the first RAF aircraft to land on Icelandic soil, and crashed during subsequent operations. In 1972, the RAF embarked on a successful recovery operation to salvage the wreck and return it to the UK for restoration. The recovery complete, the museum has since begun a complete restoration of L5343 at the Michael Beetham Conservation Centre of the RAF Museum in Cosford, Shropshire, England. The conservation centre is only open to the public at occasional times throughout the year. Battle R3950 is part of the collection of the Royal Museum of the Armed Forces and of Military History, Brussels, Belgium. This aircraft spent much of its life in Canada. 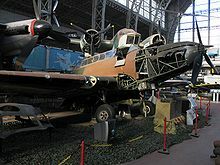 It was acquired by the Brussels museum in 1990 as they wished to hold an example of an aircraft that served with the Belgian Air Force in 1940. The wreck of another Battle was discovered in an Icelandic glacier in 1995, although there are no plans to restore it. The Canada Aviation Museum holds a Battle T (marked as R7384/35), used to represent the contribution the aircraft made to aircrew training in the British Commonwealth Air Training Plan. R7384 was manufactured as a pilot trainer in 1940, and taken on strength by the RCAF in 1941. Converted to a turret-gunnery trainer in 1942, it was used until 1943, when it entered storage. After moving among several storage locations, the aircraft was transferred to the Canada Aviation Museum in 1964, and a final restoration programme was completed in the 1990s. During the mid-1960s, RCAF pilot Lynn Garrison acquired four Fairey Battles from farmyards in Alberta and Saskatchewan for his collection of historic aircraft in Calgary, Alberta. They have since disappeared from view. Although far from complete, another Canadian-based Battle trainer is currently being restored at the Commonwealth Air Training Plan Museum at Brandon, Manitoba. The South Australian Aviation Museum at Port Adelaide is undertaking a restoration project using the remains of a Battle which was recovered from a tidal swamp near the Second World War RAAF training base at Port Pirie in South Australia. The Clyde North Aeronautical Preservation Group also has two unidentified and unrestored cockpit sections from Fairey Battles located in Wagga Wagga, Australia. The RAAF Museum at Point Cook, Australia has an unidentified and unrestored cockpit section at Point Cook, Australia. Picture - Orthographic projection of the Battle. Garcia, Dionisio. "Air Force on the Edge: Belgian Military Aviation in 1940". Air Enthusiast, No. 96, November/December 2001. Stamford, Lincs, UK: Key Publishing, pp. 65-68. Gifford, Simon. "Lost Battles: The Carnage of May 10 to May 16, 1940". Air Enthusiast, No. 109, January/February 2004, pp. 18-25. Stamford, Lincs, UK: Key Publishing. Lever, John. Fairey Battle in the RAAF. Koorlong, Victoria, Australia: John Lever, 2002. ISBN 1-87670-907-3. 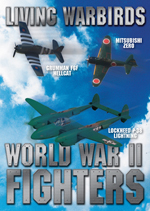 March, Daniel M. British Warplanes of World War II. London: Aerospace, 1998. ISBN 1874023-92-1. Matricardi, Paolo. Aerei Militari: Bombardieri e da trasporto (in Italian). Milano, Mondadori Electa, 2006. NO ISBN. Moyes, Philip, J.R. "The Fairey Battle." Aircraft in Profile, Volume 2 (nos. 25-48). Windsor, Berkshire, UK: Profile Publications, 1971. ISBN 0-85383-011-8. Pacco, John. "Fairey Battle" Belgisch Leger/Armee Belge: Het Militair Vliegwezen/l'Aeronautique Militare 1930-1940 (bilingual French/Dutch). Aartselaar, Belgium: J.P. Publications, 2003, pp. 52-55. 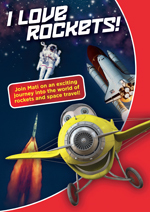 ISBN 90-801136-6-2. Richards, Denis. Royal Air Force 1939-1945: Volume I The Fight At Odds. London: HMSO, 1953. Shaile, Sidney and Ray Sturtivant. The Battle File. Tunbridge Wells, Kent, UK: Air-Britain (Historians) Ltd., 1998. ISBN 0-85130-225-4. Taylor, H. R. Fairey Aircraft since 1915. London: Putnam, 1974. ISBN 0-370-00065-X. Taylor, John W. R. "Fairey Battle." Combat Aircraft of the World from 1909 to the present. New York: G.P. Putnam's Sons, 1969. ISBN 0-425-03633-2. Willis, David. "Battles for Power." Flypast, January 2009.